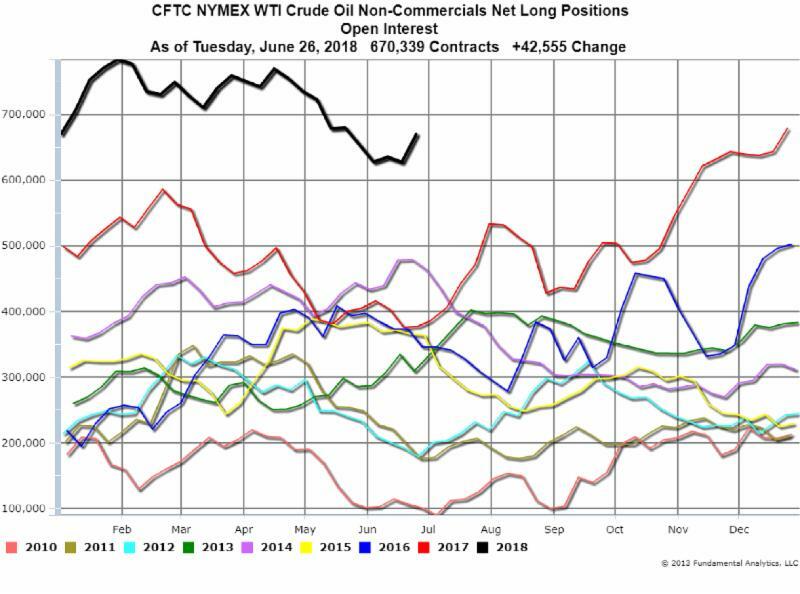 The latest CFTC Commitment of Traders Report as of Tuesday, June 26, 2018 shows the Non-Commercials Net Long Positions increased during the week by 42,555 contracts to 670,339 contracts. 15,730 Long positions were added and 17,327 Short positions were covered. The Funds have become bullish as new increases in supply from OPEC and Russia (as well as the loss of supply from Iran) appear to be insufficient for growing demand.